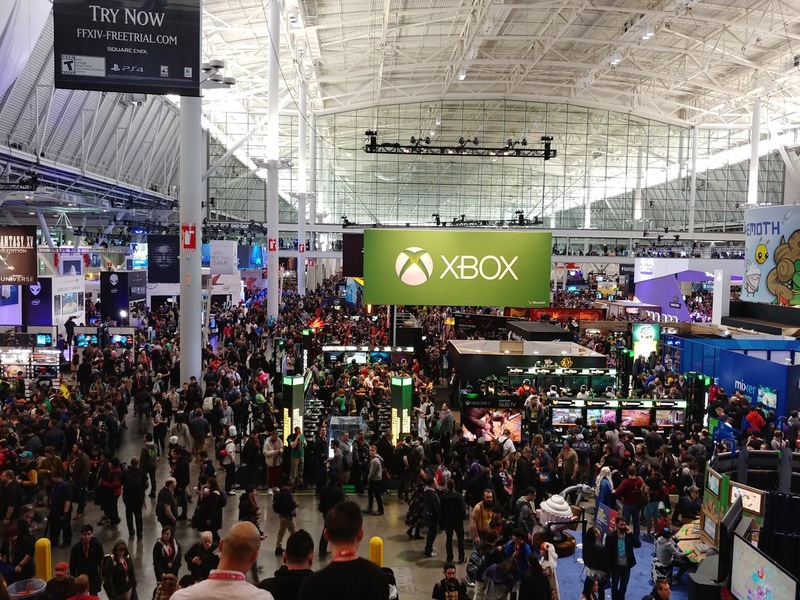 Home / Blog / boardgames / News / Nintendo / pc / playstation / videogames / xbox / Last week was PAX-Tastic. A report. Last week was PAX-Tastic. A report. 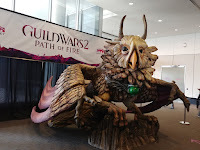 We are back from a great but cold , way to wintery, weekend at PAX from April 5th-8th. Because there were a few more trips right after, it has taken a while before I could sit down and take a moment to write this piece. But hopefully you have followed along on social media and enjoyed some it the things we have seen. Of course added lack of sleep and airplane flights also strengthened the attack of the pax pox bug which was hard to fight off, but we kept the damage to a minimum. For those not familiar with PAX, formerly known as Penny Arcade Expo , it is a series of gaming culture festivals that involve; tabletop gaming, arcade gaming, and video gaming. 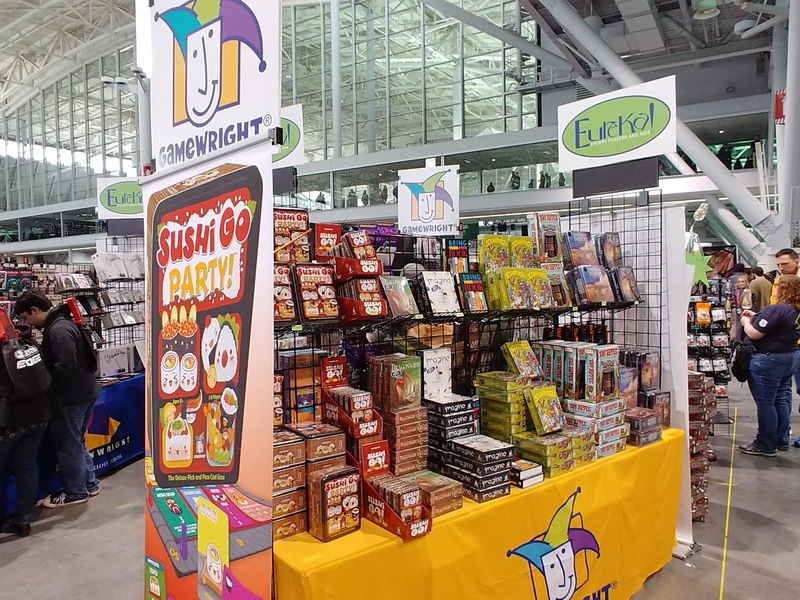 PAX east takes place in Boston Massachusetts and it has now introduced a 4 day event schedule allowing for thousands more people to enjoy the largest consumer friendly video and boardgames show in all it's glory. 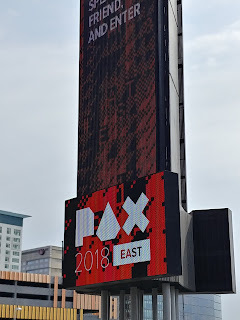 After a year hiatus ourselves, we were also to be back and drove up along the east coast to meet up with our fellow game enthusiasts in Boston Massachusetts. After a long wait through bag check, ensuring us a safe and fun expo time, we finally entered the halls of gaming Valhalla. 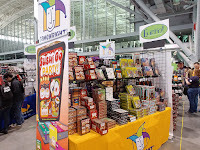 The enormous hall is filled with many publishers and vendors ready to show of their products to the masses. 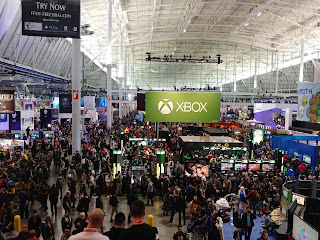 From the the mega booths of Blizzard or the big 3 ( Nintendo, Xbox, Playstation) to the smaller stands in the side isles where hopefuls are ready to share their dreams , result of hard work, with us all there are days full of content to take in and it is best to try to not let it overwhelm you too much. To say it is busy at PAX, might be an understatment. I was glad to see drop mix is still going strong and releasing expansions to their amazing digital boundary crossing tabletop DJ card game. Tiny Build had a hugely successful booth, getting a lot of attention with their upcoming switch releases. The ever popular Devolver booth was jam packed as well and the big screen was showing the enchanting looking RPG "The Swords of Ditto". We played an intriguing upcoming games such as the physics driven coop game PHOGS ( physics dogs, get it?) and a wonderful art style in a game called Jenny Leclue, which had some interesting sleuthing and mystery solving involved with wonderful audio soundscapes. Jinkies! And who can forget the fantastic looking Shaqfu 2 Legend reborn.We even got to ride a Guild Wars 2 Gryphon. But also in the boardgames genre we had a blast, some traditional such as an upcoming card battle game Squirmish by Gamewright and the expansion pack for Organ Attack, but also genre bending games such as Beasts of Balance and then there was playable... the upcoming interactive way of playing your boardgames on a digital screen with physical objects. All in all there were almost too many standouts during the show and I probably missed a few mentioned in this article but in the coming days/weeks I hope to give these video and boardgames deeper look and post more in-depth information about each of them individually. Keep an eye out on social media announcements of new future articles and reviews. And hang in there , Spring is coming.. cough cough *Nasty PAX pox virus* cough.